It’s always best to do your homework properly before you make any life changing decisions, there isn’t really a bad time to invest in a property if you do your homework, plan out your budget and work through the right channels to find the perfect property for you. If you locate to a property where the rent is close to what your monthly bond repayments would be then I would strongly recommend you to consider buying the house rather than renting. Draw up a list of all the pro’s and con’s of the property you are planning on buying factoring in the costs and if you are ready to commit to repaying a long term bond. When you rent a property you can’t alter and change as you wish without getting approval from the landlord first. Everything you change and installed while renting the property will have to stay behind when you decide to move out, costing you more money at the end of the day. It is definitely a better idea to buy a house and make it your own. You will benefit in the long run from all the improvements when and if you decide to sell the property. Imagine just finishing altering around the house just to be evicted in a month or two. This will surly leave a bitter taste in anyone’s mouth. You have zero control over the annual rent increase. 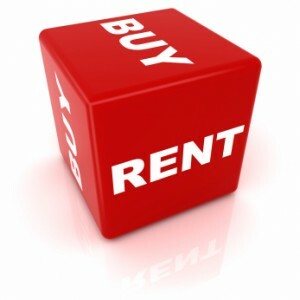 Rentals increase every year and is usually set at 10% above inflation. Renting isn’t always secure and could be very stressful when the landlord decides not to renew your lease. This can happen for a couple of reasons, for example: Owner decided to sell the property or lease it to new tenants. The longer you put off entering the property market, the harder it will be to do so. One gets used to a certain standard of living, and every year it is harder to make the sacrifices needed to buy a property. One must be careful of becoming too fearful because of temporary political or economic issues. Property will always give good returns in the long run.